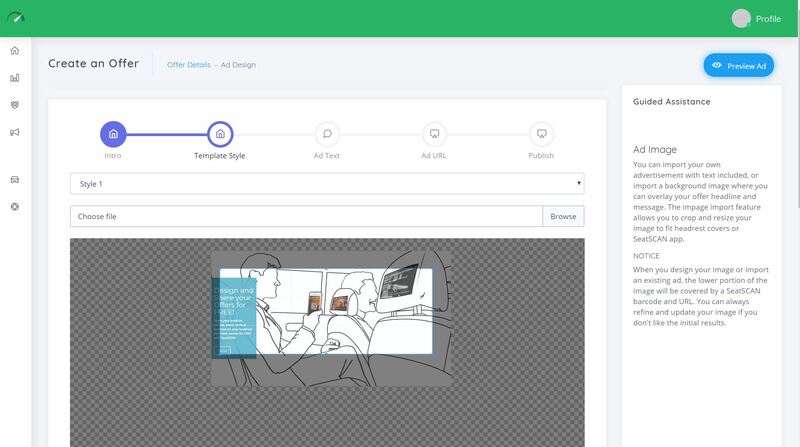 Create and deliver ads to Uber and Lyft passengers through our SeatSCAN in vehicle “ridevertising” solution. We are building a network of passionate, business savvy drivers who can help elevate your product, service, or event through our headrest offer delivery solution. 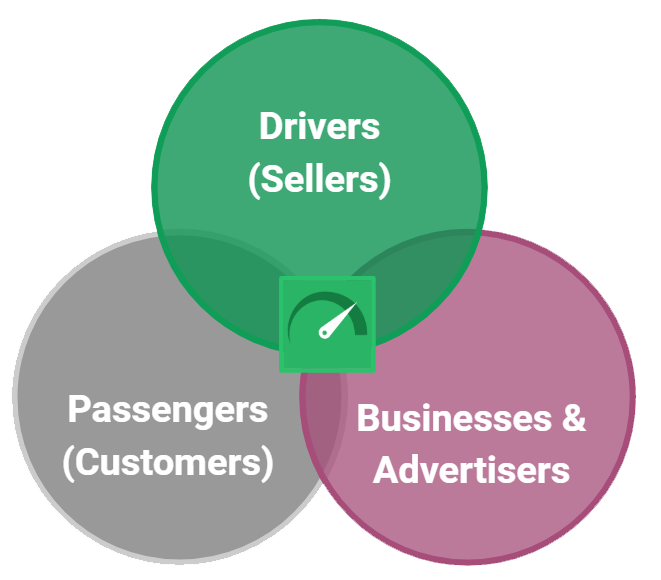 Rideshare Sellers is working to build a new, exciting channel to engage riders and deliver traffic directly to your website through scanning, SMS, and URL based delivery. Sign up today to be first to work with Rideshare Sellers network. With SeatSCAN designer, you can create targeted messaging and offers and deliver to riders in selected regions. You provide the content and SeatSCAN distributes it to our Rideshare Sellers network. Target offers to rideshare passengers by geography. 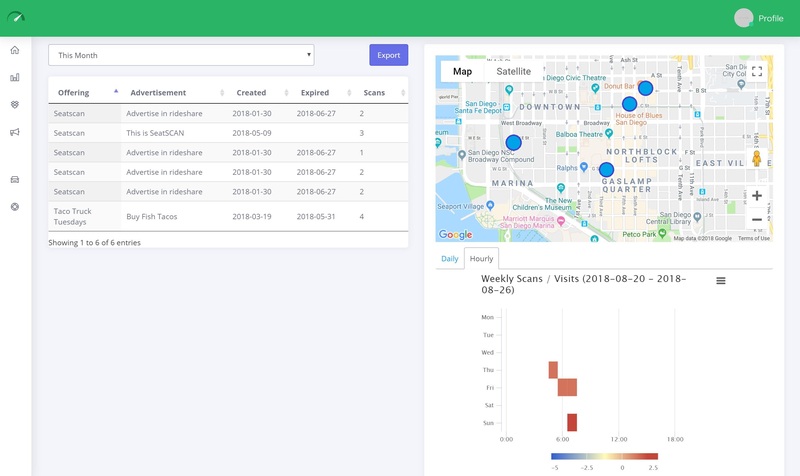 Detailed analytics identify when and where passengers view your advertisements. Experiment across multiple geographies and compare performance results. Build driver loyalty through our upcoming driver champion program.